SIPTU says there’s been no progress as yet, as unions and management meet to try and resolve their dispute before the next scheduled strike action. IRISH RAIL, SIPTU and the National Bus and Railworkers Union held a day of exploratory talks at the Labour Relations Commission in Dublin today. It follows an invitation from the Commission to attend exploratory discussions aimed at resolving the long-running dispute over pay at the company. Those talks have now wrapped up for the weekend, with a further session planned for Monday. “No progress has been made at this point in time,” SIPTU organiser Paul Cullen told TheJournal.ie this afternoon, stressing that the threat of further strike action remained in place. 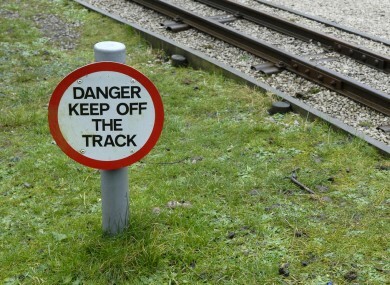 Up to 100,000 people are estimated to have been affected by a 48-hour rail strike held last Sunday and Monday. More stoppages have been scheduled for 7, 8 and 21 September. The All-Ireland Hurling Final is due to take place on the 7th, while the football final will be held on the 21st. The dispute centres on a pay cut which Irish Rail insists is necessary to plug a hole in the company’s finances. “Both sides laid out their position. We talked about funding, we talked about pay cuts,” Cullen said in the wake of today’s talks. He described the atmosphere as “cordial”. Meanwhile, the NBRU’s general secretary Dermot O’Leary said that as far as his union was concerned the LRC had been “left in no doubt” about the gravity of the situation. “The nature of these things is that you’re not in the room with the company, you’re in room with the Commission,” O’Leary said. The LRC will assess each party’s submissions over the rest of the weekend, with further talks planned for Monday. Email “"No progress" today, but talks to avoid another train strike will continue ”. Feedback on “"No progress" today, but talks to avoid another train strike will continue ”.